О, посмотрите какая уняня: обзор японки фф13-2. For about 20 hours, the convoluted plot and poor writing render this story almost unbearable, but then there are these glimmers of hope, these shining moments when one must — as with the music — ask all too late “Where have you been this whole time?” By the end, however, most of that even washes away as complete nonsense and over-the-top direction come back from lunch break. The tremendous value of subtlety is lost on writer/director Motomu Toriyama. Rather than allowing the player to see things unfold and understand them, the player is smacked over the head with unnecessary filler dialogue. 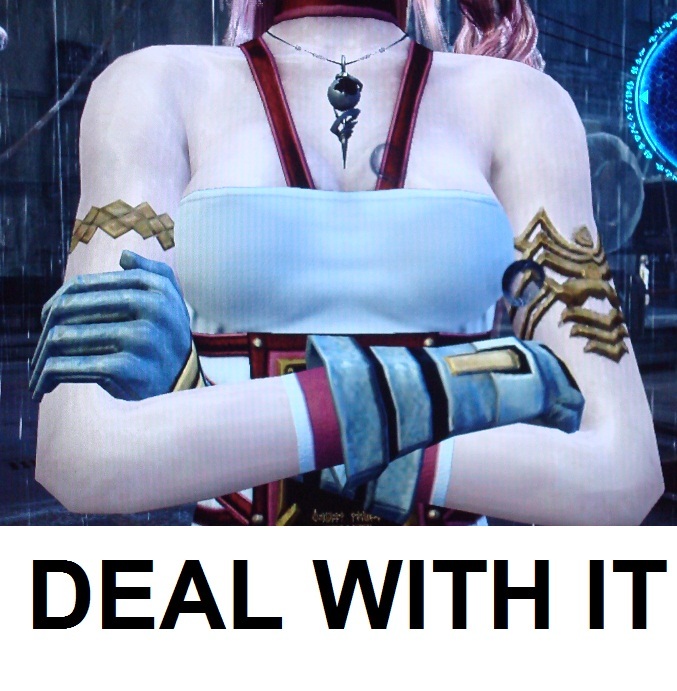 Get ready to have your intelligence repeatedly insulted, sometimes directly, sometimes using Serah’s airheadedness as the vehicle. Things the player obviously understands will then be explained and re-explained, often through Serah asking stupid questions. And when the answer isn’t so obvious, or there appears to be a contradiction, Toriyama shrugs and goes “Um, whoops, uh, time paradox!” and calls it good. Proving that the claim of developers fixing all the problems with XIII was exaggerated, there are, once again, large story chunks that need to be read in plain text form. This might be the worst story in Final Fantasy history. Mog is perhaps the best example of squandered opportunity and destruction of subtlety. What could have been a funny, cute, enjoyable side character is made into an overused one-note joke that inappropriately injects itself into nearly every conversation. Это всё уже из демки очевидно. даже мугл говноедом оказался: все время повторяет "poo-poo"